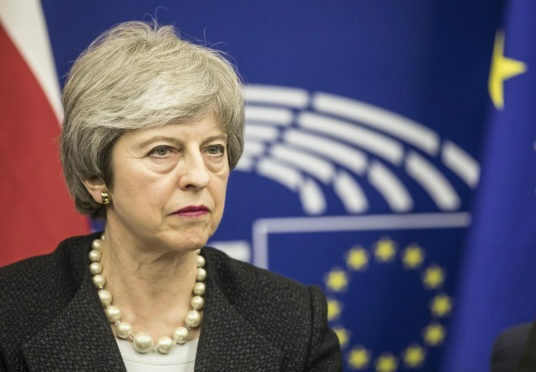 Theresa May will request another extension to the Brexit deadline in order to seek a compromise deal with Labour. The prime minister, speaking from Downing Street after a marathon seven-hour cabinet meeting, said she wanted to agree a Brexit plan with Jeremy Corbyn to “break the logjam” in Parliament. In a move likely to anger Brexiteers even further, Mrs May’s official spokesman, asked if a second referendum or customs union was on the table, said “we approach talks in a constructive spirit”. If an agreement with Mr Corbyn is not possible, Mrs May said another series of Brexit options would be put before MPs in the Commons with the government adopting whatever is decided as policy. Mrs May said: “This debate, this division, cannot drag on much longer. It is putting members of Parliament and everyone else under immense pressure and it is doing damage to our politics. “Despite the best efforts of MPs, the process that the House of Commons has tried to lead has not come up with an answer. Mr Corbyn, speaking after the statement, said he and his team would meet with the prime minister. Pressed on when the talks would take place, Mrs May’s spokesman said they would like to get started “as soon as possible”. SNP Westminster leader Ian Blackford hit out at Mrs May for “ignoring” the SNP. He said: “Theresa May’s can-kicking statement tonight merely prolongs the agony instead of providing any clarity on a way forward. “The SNP has shown we are willing to find a compromise position to end the impasse, but our priority remains stopping Brexit in its tracks. “Time is fast running out and the prime minister must now seek a long extension to Article 50, bring this back to the people through a fresh referendum, and keep the option to revoke Article 50 on the table to avoid a no-deal Brexit. Gordon Tory MP Colin Clark said the prime minister had been “backed into a corner”. He added: “The deal the prime minister put forward was better than any alternatives but here we are at the 11th hour with Parliament unable to come to a decision. Donald Tusk, the president of the European Council, responded to the prime minister’s statement by urging caution.